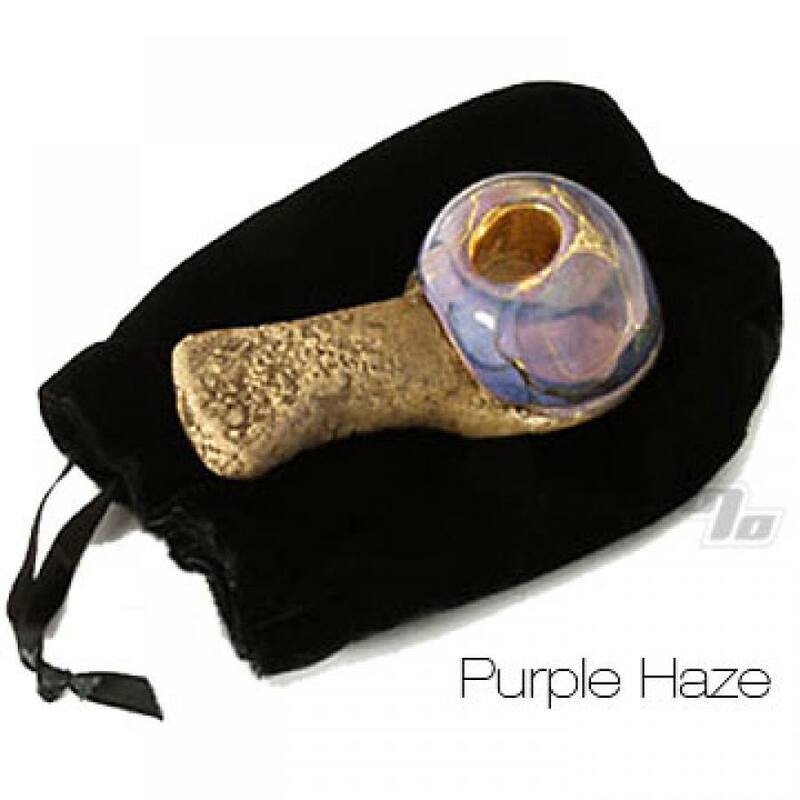 The Purple Haze layered lava pipe is one of the newest Celebration Pipes. Celebration Pipes are "NO KA OI"....the very best from Hawaii. Each pipe is handcrafted, signed, fired to over 2,350 degrees Fahrenheit and then plated in 22k gold. The gold bowls reflect heat and completely burn whatever is inside of them... more "bang for the buck". The base is made from Lavastoneware, a unique compound hi tech in its heat abating simplicity. Each gold plated pipe is encased in a velvet and satin handmade pouch for safekeeping. They also come complete with a certificate of authenticity signed by the artist in a gift box. Looks great but hits like poop. I would not really recommend it unless your a collector and need it for some reason other than smoking. I recommend this pipe for anyone who wants a show piece. This pipe burns and smokes so much cleaner than anything i have ever had, absolutely a great pipe. A beautiful work of art. I love this pipe!